We’re all looking for some proven method to promote our business and products. The Real Estate business is no different. Real Estate agents looking to be number one in their specific area are quickly finding out that Every Door Direct Mail® is not only an excellent marketing tool, it is also the smartest way to go. Mailing services such as this one can get your information in front of potential buyers. Whether you are advertising homes that just became available, open houses or other Real Estate related community events, these over-sized postcards are the right way to get the job done. Once the real estate EDDM® postcards have been designed and a marketing plan is in place, all you’ll need to do is drop off the postcards to the nearest post office. Just choose your drop date up to 30 days in advance and see your postcards hit doorsteps in days! Another positive aspect of Every Door Direct Mail® (also known as EDDM®) is that you can target specific neighborhoods and zip codes as you attempt to attract the prospective home buyers who may be interested in a home you have to sell. The bottom line is this: your marketing dollars will only go where you want them to. 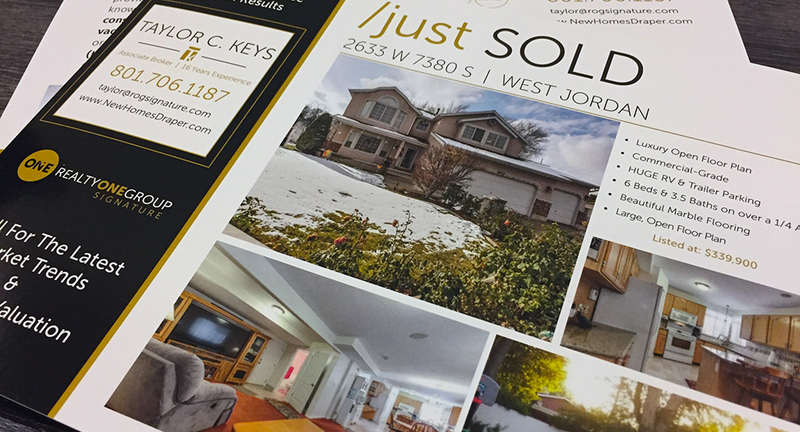 There is no question that the postcards are an excellent tool for marketing, but it is even better for a Real Estate agent. Why Use EDDM® Postcards for Realtors? You are thinking about a past client or a future one. Clients are all potential buyers, which is why they can be used to keep your name on their radar. Maybe you have your eye on another neighborhood to expand your possibilities, where you can advertise yourself as the person to go to if the homeowner is interested in either selling or trading up. Because nothing is set in stone, you can promote your Real Estate business in one area and change it if the response is not what you expected. You can also implement technology into these postcards by adding quick response codes where you can lead your potential buyer to other areas for possible business opportunities like a website or even a quick dial to a phone number that they can talk to someone at the other end. The possibilities are endless, and the results are positive, which is why they are becoming the wave of the marketing future. As an online printer, we offer a large selection of EDDM® postcard options, including size, paper stock (14PT or 16PT) and finishes. Choose from our premium paper stock with glossy UV, matte, spot UV, 100LB gloss cover and matte with Spot UV. Additional printing options include printing on both sides of the postcard and bundle options of 50 or 100. Just register and your advertisement will be delivered to every door on a route. We are excited to announce Full-Service EDDM®. Postcard marketing is an effective way to bring business and brand awareness to potential customers. Upload your files or have our creative team create a unique design for your business. We handle the print, processing, and delivery to the post office. 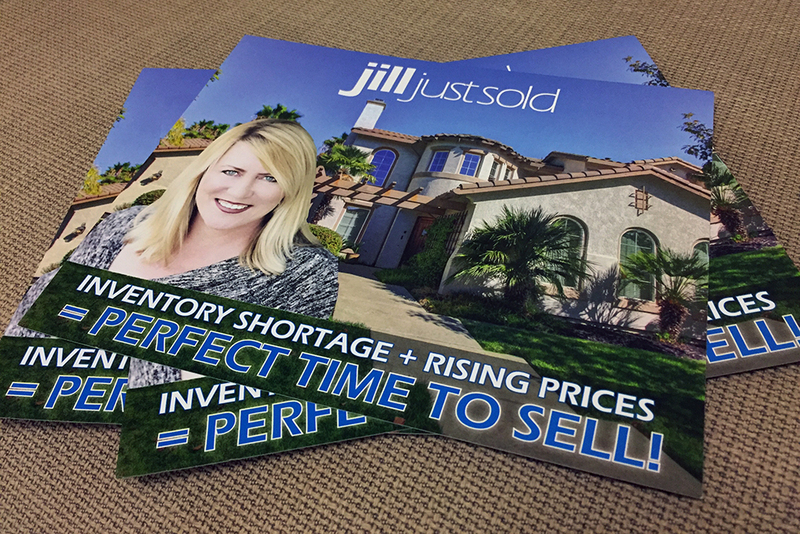 Looking for additional products including realtor signs, postcards, brochures, letterhead and more, look at our real estate printing page. Learn how to utilize every aspect of our route selection tool. Our video tutorial teaches you how to select routes based on Zip Code, residential and/or business addresses, median income, age, and household size. Looking for custom business cards? We now offer free real estate business cards templates for the following companies: Re/Max, Berkshire Hathaway, Century 21, Keller Williams, Coldwell Banker, Allen Tate, and Prdential. Need help with designing your postcards? We can help! Complete our graphic design form, and one of our experienced graphic designers will be in touch with you shortly. They’ll walk you through the entire design process. As the SEO / Content Manager at Primoprint, Kevin works closely with the entire Primo team to focus on creating engaging and informative content. Kevin is passionate about everything related to SEO. When he's not working, you can find him exploring new places in and around North Carolina. Kevin is a big fan of craft beers, grilling, and watching sporting events.